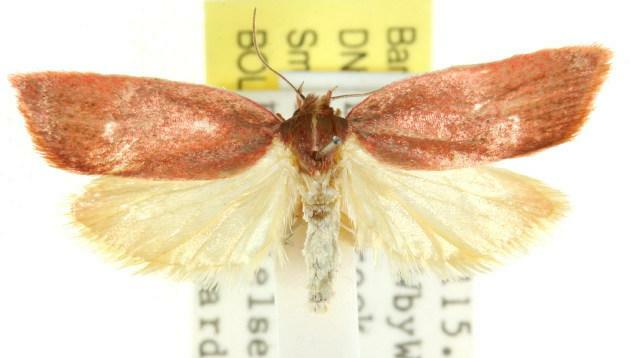 This adult moth has red forewings, and off-white hindwings. The wingspan is about 2 cms. Series 2, Volume 2, Part 4 (1888), pp. 932-933, No. 525 (26a).